Muay Thai Live, a spectacular show that tells the untold stories Muay Thai’s greatest heroes such as Tiger King PhraChao Sua, NaiKhanomTHom and PraYaPichaiDaabHak. All the performers are “top level” and the fights and stunts are truly amazing. 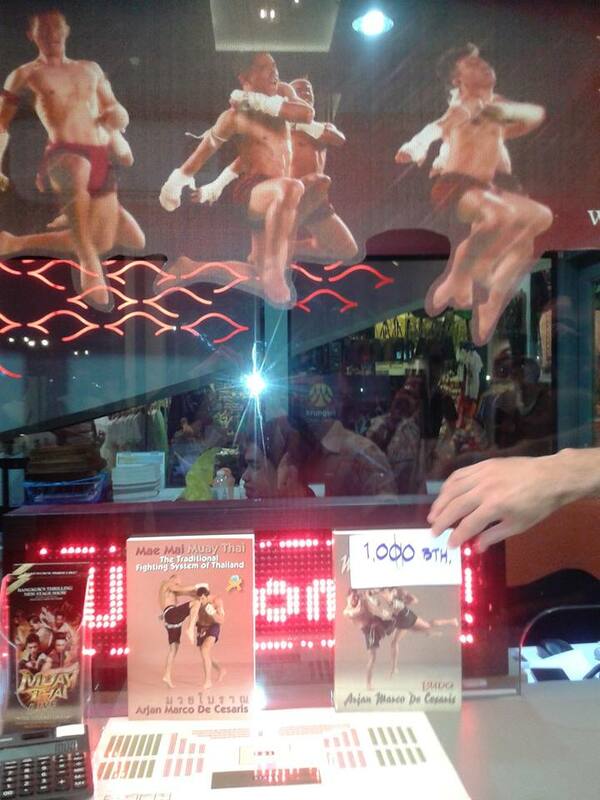 A must-see for all Muay Thai enthusiasts. Photo 2. Master Marco’s books on sale at the box office.